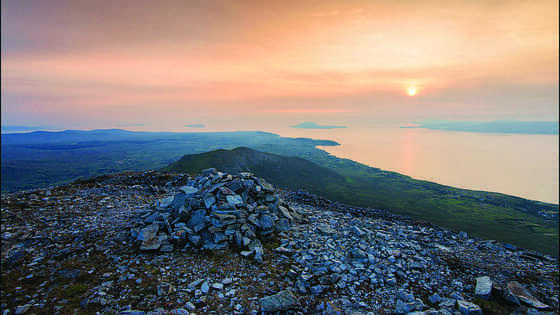 Hello all - I'll be climbing Croagh Patrick on the 20th of May in suport of the work of Gorta-Self Help Africa. Gorta-Self Help Africa is assisting farming communities combat the food crises in East Africa, which has been deemed the world's largest humanitarian crisis. Gorta Self Help Africa's interventions are cutting edge and are based on enabling farmers to support themselves and their families . It makes most sense to invest in agricultural communities in sub Saharan Africa, and it enables people to work their way out of poverty. It is a simple format - help a household become food-secure through smart farming ,and then crucially, assist with access to markets . Selling surplus produce will mean an income, which in turn will mean access to education & health care in order to break the cycle of poverty and hunger. If you could help in any way I would be greatly appreciate it. Thank you.